The favorite ballerina and flat shoes of celebrities and royalty around the world are now available in Aruba. 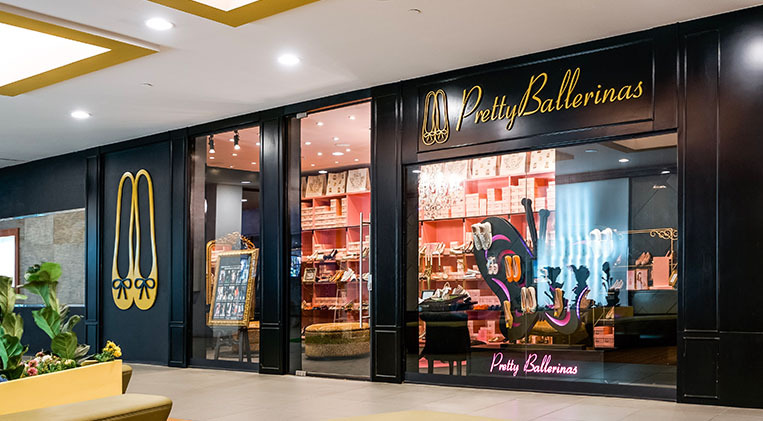 Handmade in Menorca, Spain, since 1918 by the Mascaro family, Pretty Ballerinas come in a huge array of colors and styles, using only the finest European materials. Discover why Kate Moss, Claudia Schiffer, Angelina Jolie, Halle Berry, and many others are fans of this stylish and extremely comfortable footwear.